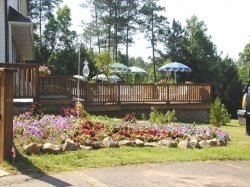 *North Shore Resort at Lake Oconee* offers all types of camping including tents and cabins. A playful railroad theme is just a hint of all the fun you’ll have at this one-of-a-kind resort. The campground has 23 authentic railroad boxcars, club cars, and cabooses - and you can spend the night in one! 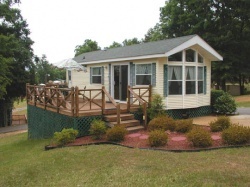 Situated on 55 acres on the enchanted Lake Oconee and just about an hour outside Atlanta makes it an enjoyable and wonderful RV camping property. Lake Oconee not only provides the movie-like backdrop but the many recreational activities you’ll enjoy will keep your interest for hours. Fishing, boating or just wandering on the shoreline, it truly is an amazing spot. Plus its close proximity to the lovely town of Greensboro will be a destination you will love to explore. Family friendly campground membership! Enjoy many onsite recreational activities! Floating usage! Inquire for details!